When was the last time you did something ‘just for you’? We often think it is OK to run ourselves down in order to look after others or for the work grind. We cannot show our best selves to the world when we are tired all the time, and grumpy with menopausal symptoms. Self-care has taken on a marketing spin over the years and is often presented in the form of ‘go on, treat yourself’ which suggests it optional, indulgent, and occasional. On the other hand, the marketing invites someone to treat us as if we need someone else’s permission to look after ourselves. The more we look after others and take on more responsibility the more we need to look after ourselves. To make a sweeping statement family and friends may often notice what we don’t do, rather than saying thank you for what we consistently do, day in day out. This can feel like they are pointing out your failures or flaws but it is often not the intention and if you were not so tired you probably would not take it so personally! If you feel you are at this stage it is time to take stock. It is up to you to create the space that you need to allow a wee bit of ‘joie de vivre’ into your life. In order to practice self-care on a regular basis you need to make space for it. Mentally accepting that you are menopausal and that you need to look to the future rather than the past and start doing things differently. Once you have created some space, what are you going to do? My starting point is finding out if you are an extrovert or introvert as they have very different ways of recharging themselves. You can find a free quiz here. Extroverts recharge in company of others and introverts on their own. This will have an impact of what you may chose to do, and may be the reason why some things are not as relaxing as you think they should be! ‘Other people’s opinions’ (OPO) can carry a lot of weight particularly if you feel the person has everything together and you are looking for some inspiration. It is a time for a wee bit of reflection, perhaps thinking back to what hobbies you had as a child, or perhaps there have been interests over the years that you have not had the resources to pursue that you could do now. I am a lifelong learner and I always have a long list of things I want to learn. Most things you can do online however it can be much easier to create a habit and sense of urgency if you go somewhere. There are always minor emergencies at home or work, which are easy to be caught up in. If you are at a different venue it is much easy to protect your time and new hobby, and hopefully the minor crisis will be over when you get home. If you are an introvert, you might take advantage of a quiet house for ‘just for you’ time. Perhaps first thing in the morning when everyone is asleep or when everyone is out for the evening. Having an attitude of life-long wellbeing is important. Your wellbeing is not an exam you pass and then stop. It always has to be a part of our lives. Having flexibility in what you do is important to consider your resources and interests that will change over the years. Some people may not like your choices particularly if they feel a bit neglected. However, that is something to work around with kindness and time; some people just do not like change! It is also, about how a hobby or activity makes you feel rather than being attached to a specific activity or class. It is maintaining a curiosity that if your Wednesday class stops you can find something else that would also give you a skip in your step and a twinkle in your eye. 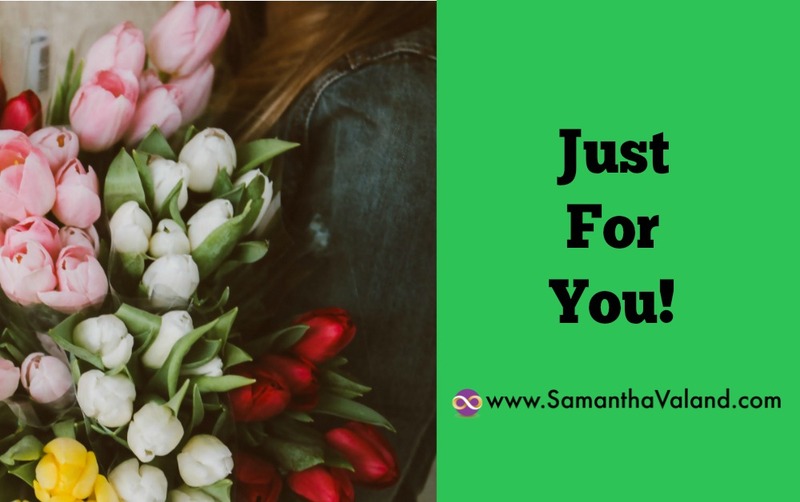 What do you do ‘just for you’? I would love to hear from you.